The Aristopaws is a non-profit organization that takes care of abandonned or stray animals who are also sick. We are the only rescue in Quebec with this speciality. We take the cases that other shelters can not take because of lack of funds. However, our places are limited to allow us to provide all the necessary care for our protégés. the amounts needed to heal our animals can be staggering. Donations are the reason we continue to exist. All amounts received help us provide for our hairy friends, whether for medical treatment or basic needs such as food. All types of donations can help us, whether monetary or physical. Contact us for donations! Our shelter works exclusively with foster families. We do not have a premise in which our animals are located since we want to offer them the most normal environment possible. If you want to foster an animal in your home, but you can not do it permanently, being a foster family is the solution for you! You have a pet that you cannot take care of anymore ? There is a stray cat or dog in your neighbourhood and you are worried ? You are a veterinarian and have a special case ? 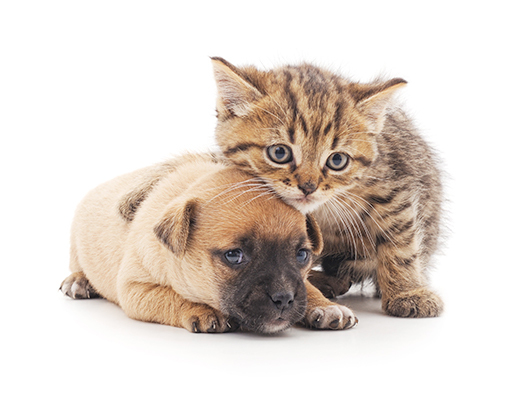 Consult our care page to know if we can take your animal. If your pet doesn’t fit in the criterias or if we are at full capacity, please contact us, we can refer you to associated shelters. © 2019 Les Aristopattes. Digital Agency - My Little Big Web.